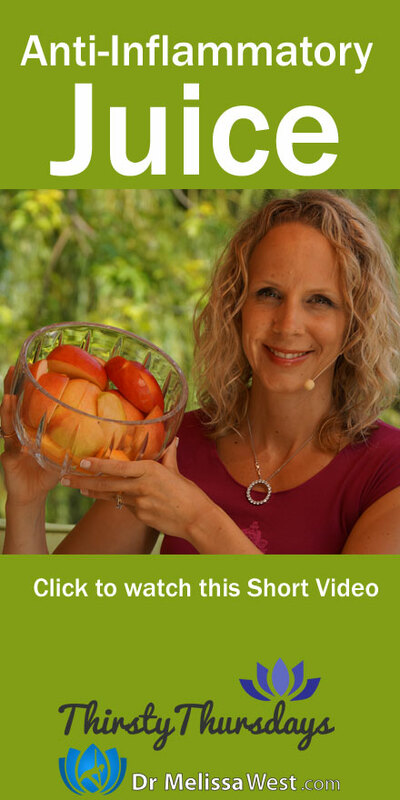 This past week my friend and colleague Lisa who filmed the Sun Salutations (Surya Namaskar A & B) and who also answered your questions on Chaturanga, asked me to put together a juice for inflammation for her. First of all, lets look at what inflammation is in your body. Things like minor injuries, infections to more serious conditions such as migraines, fibromyalgia, arthritis and colitis can result in inflammation in your body. 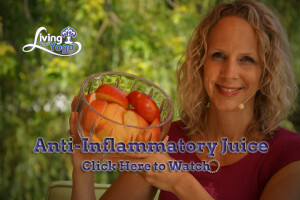 What happens in your body responds to infection, toxins, and injury by creating inflammation in your body.Your body’s inflammatory response can range from redness and swelling to pain and heat. Foods high in beta cryptoxanthin help with inflammation, these include: peppers, pumpkin, winter squash, persimmons (yum), tangerines, papayas. Zeaxanthin, which is found in leafy green vegetables yellow and orange fruits and veggies is a carotenoid that helps reduce inflammation and also has anti-inflammatory qualities.